Hometown racer Jason Corliss proved once again that he’s the man to beat in big Thunder Road events by taking the Coca-Cola Labor Day Classic for the American-Canadian Tour (ACT) on Sunday, September 2. 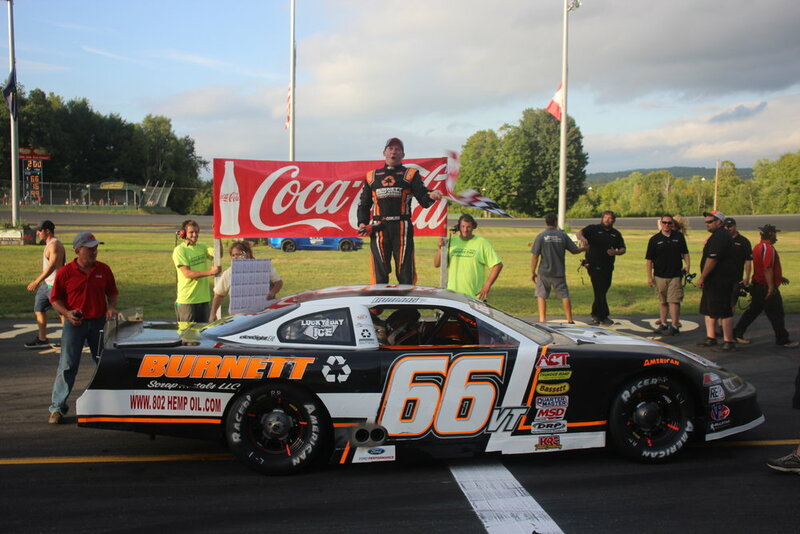 Corliss grabbed the lead from polesitter Cody Blake just before the halfway point and never looked back on his way to a $5,000 payday in the Summer Showdown Series finale. Fellow Barre, VT resident Blake earned the pole in qualifying and looked like the man to beat early, opening up a huge lead on multiple occasions. But Corliss steadily worked his way through the field from his 11th starting position in front of a huge holiday weekend crowd. Aided by a pair of cautions for single-car spins, Corliss found his way to the second position on lap 86 when he got around Kyle Pembroke. From there, Blake was living on borrowed time at the front. Corliss quickly ran down Blake and swung to his outside, moving to the top spot on the leaderboard on lap 97.